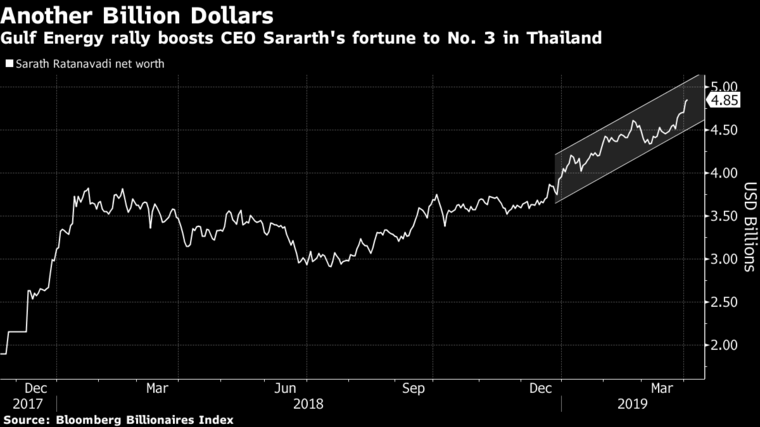 (Bloomberg) — Thai energy tycoon Sarath Ratanavadi’s fortune has surged $1 billion since late December as investors warm to his bet on Vietnam. Shares in his Bangkok-listed firm, Gulf Energy Development Pcl, have jumped 50 percent following its mid-August announcement of wind and solar power ventures in Vietnam. Officials there say they have also met with Gulf Energy over a multi-billion dollar plan to build gas-fired power plants. Sarath, 54, controlled about 73 percent of the power producer as of December. He has a net worth of $4.8 billion, making him Thailand’s third-richest man, according to the Bloomberg Billionaires Index. He declined to comment about the jump in his wealth but has previously said faster economic growth will boost electricity demand in countries such as Myanmar, Laos and Vietnam. “Gulf Energy’s aggressive expansion will help fuel earnings growth for many years,” said Suwat Sinsadok, an analyst at Finansia Syrus Securities Pcl in Bangkok, citing the potential of projects on Thailand’s industrialized eastern seaboard as well as overseas. The surge in Gulf Energy’s share price since Aug. 15 is the second-biggest among the 36 companies in the Bloomberg Asia Pacific Electric Index. The stock gained 1 percent to 98.25 baht at the lunch break, while the benchmark SET Index climbed 0.2 percent. “Vietnam has a vast potential as higher economic growth and foreign direct investments will boost future electricity demand,” Sarath said in interview at his office Friday. The company is in talks with Vietnam’s authority for a new “large” gas-fired power project in Ninh Thuan province, he said. The stock now trades at 51 times blended forward 12-month earnings, compared with an average of 45 since its listing in 2017. The majority of analysts recommend selling or holding the stock, according to data compiled by Bloomberg. 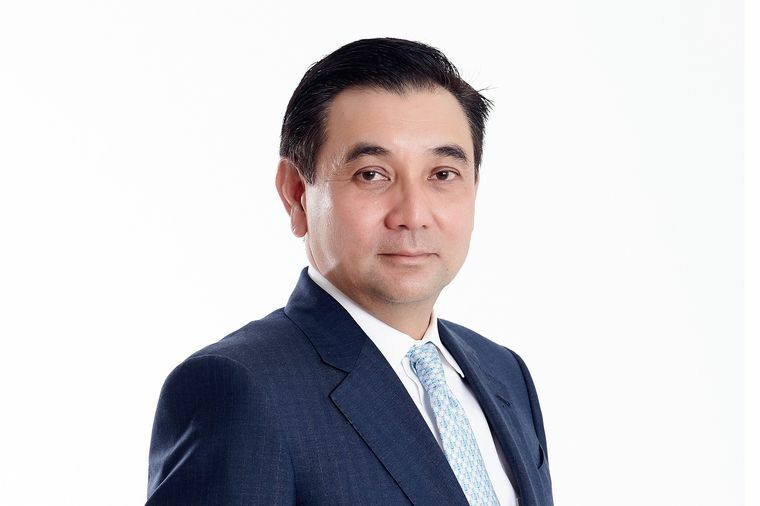 Only two other Thais are wealthier than Sarath: beer-to-property tycoon Charoen Sirivadhanabhakdi at $14.7 billion and CP Group’s Dhanin Chearavanont on $5.7 billion. One of Gulf Energy’s latest initiatives is a joint bid for a $4.9 billion deep-sea port expansion in Thailand, where it already has a sprawling, mainly gas-fired electricity generation business. Power projects are under development in both Vietnam and Oman.